Combine fat-blasting HIIT with metabolism-boosting strength training to bring about incredible results quickly with workouts that are 30 minutes or less! This challenging home workout program only requires dumbbells - and uses HIIT, cardio, strength training, circuit training, supersets, plyometrics, Pilates, and yoga come together to create the ideal workout program. Many people who complete these programs see weight loss, reduced body fat, drastic improvements in body tone, endurance, strength, & flexibility gains. Actual workout lengths vary, but average out to 30 minutes a day, five days a week (with an optional recovery workout on the 6th day). 30 Minutes is 1/48th of your day, so no more excuses! These workouts are challenging, but the vast majority of fitness levels have been able to partake in these programs as you are encouraged to go at your own pace - we have also included beginner alternatives in the first 2 weeks if the regular workouts are initially too difficult. Use #FB30 on social media to track your workout sessions, share your progress, find motivation, and connect with people around the world who are following this program. The ultimate program for people who love strength training! Great for building lean muscle, reducing body fat, increasing strength, endurance and coordination. 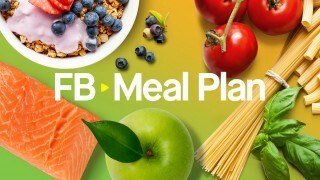 We encourage you to use our Community or #FB30 and #fitnessblender on social media to track your workout sessions, share your progress, find motivation, and connect with people around the world who are following this program.